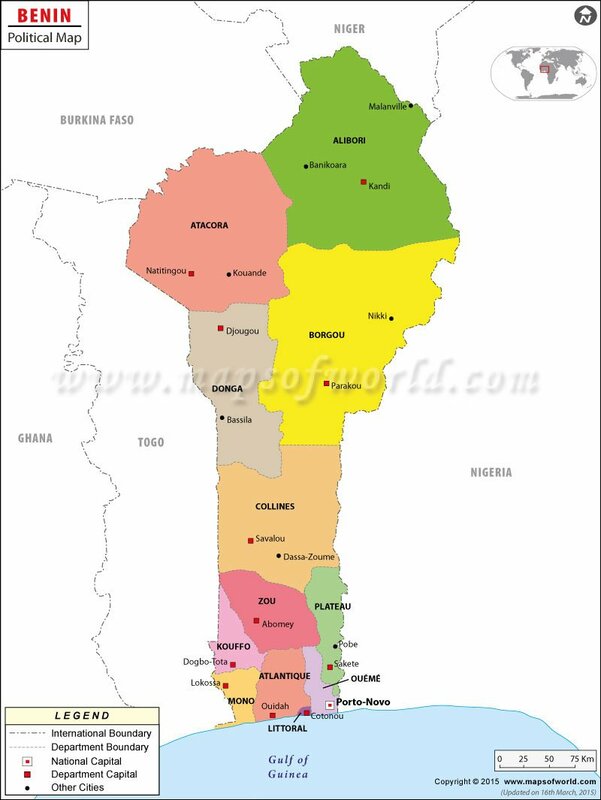 land of Benin and are a part of the various departments in the country. 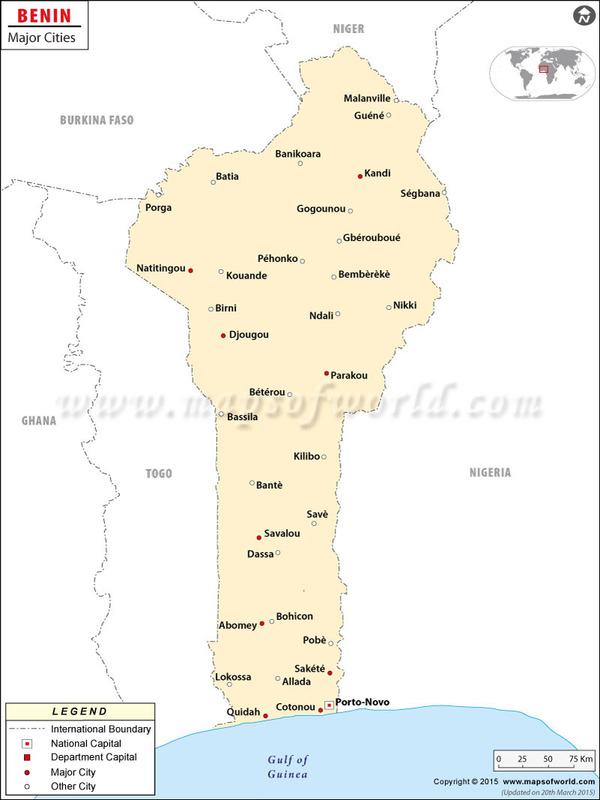 The largest Benin Cities include the cities by the names of Cotonou, Porto Novo, Parakou, Djougou, Bohicon, Kandi, Abomey and Natitingou. Among these Cities in Benin, Cotonou is the largest one from the perspective of number of people inhabiting the Benin Cities. The largest one among all the Benin Cities is at the three hundred and sixty fourth position in the entire African continent. The largest administrative divisions holding the Cities of Benin include the Zou, the Donga, the Littoral, the Alibori, the Oueme and the Borgou divisions.